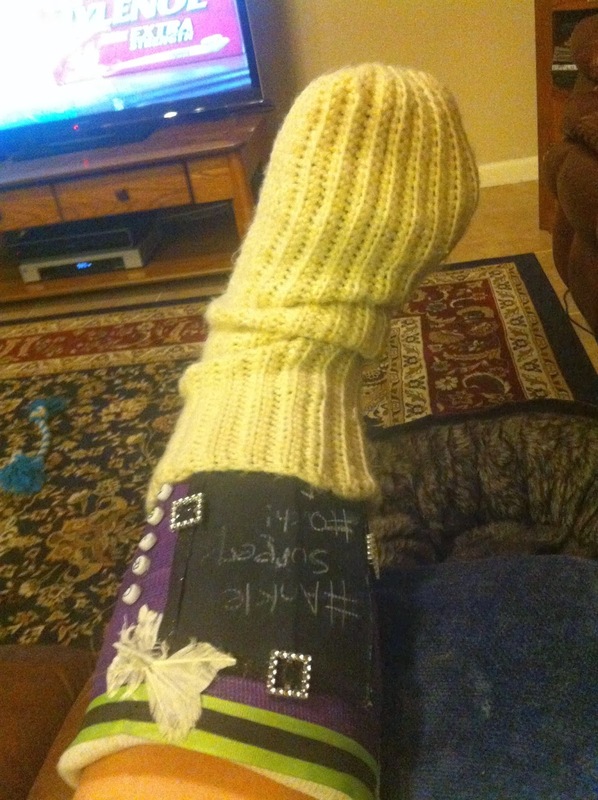 On December 13th, 2013, I had the joys of undergoing ankle surgery. Basically, my doctor went in to clean out all the scar tissue that has built up since my last surgery (in November of 2011). 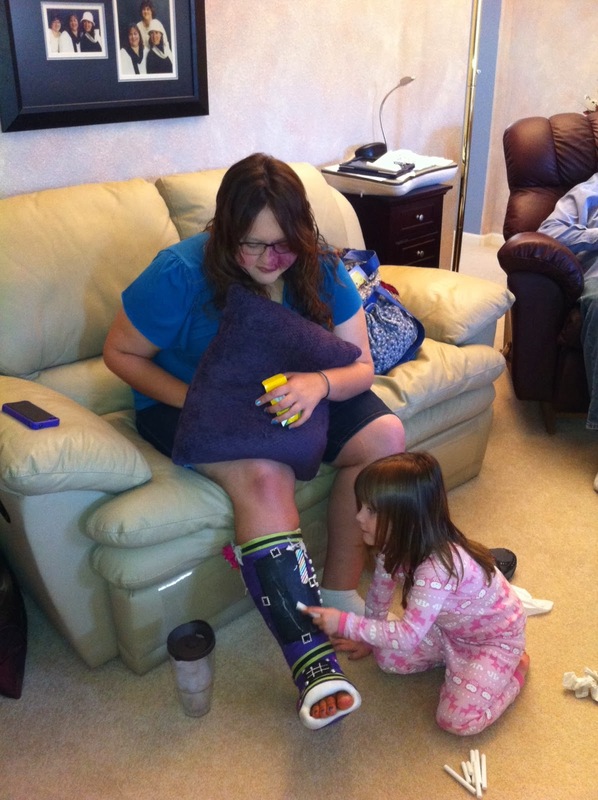 In addition, he also tightened up my ankle ligament and added stabilizers to improve its stability. 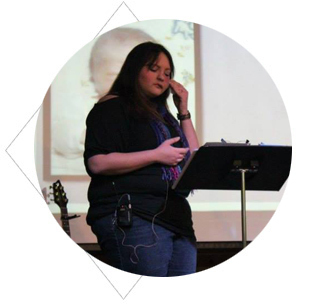 Funny thing is, when I woke up from the surgery, I guess I wasn't ready to talk…but I was FREEZING. Instead of verbally telling the nurses that I was cold, I caught myself repetitively fingerspelling "cold". I'm not sure that they ever took notice to my communication through sign language, but I was eventually able to speak again and received two extra blankets from the nurse. Since then I've had a splint, a cast, a walking cast, a boot, and am now switching from the boot to my shoe (with the help of a brace for 3 months). 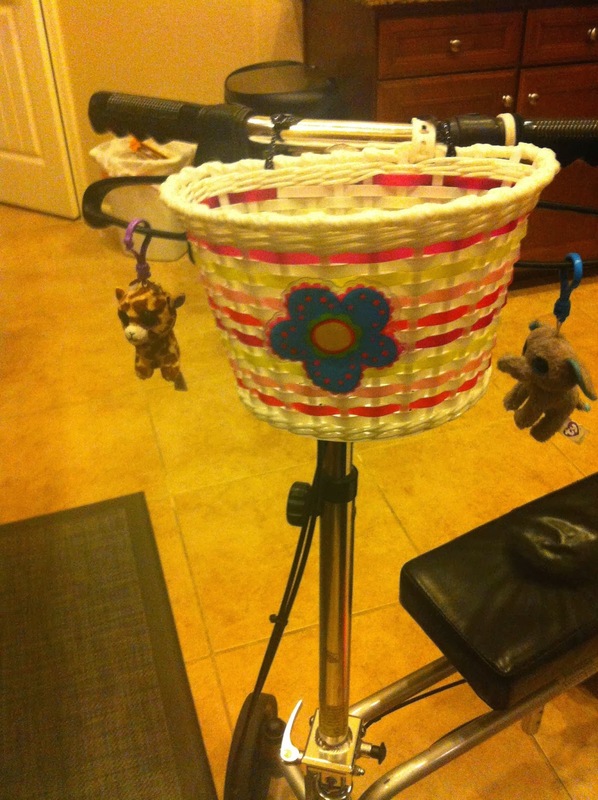 I've used a knee caddy, a pair of crutches, and am now in physical therapy. Yesterday, for the first time, I even drove across town. My mom had to drive us back home…but hey, I can't complain! Progress is progress!! Let's face it. Ankle surgery isn't fun. At all. 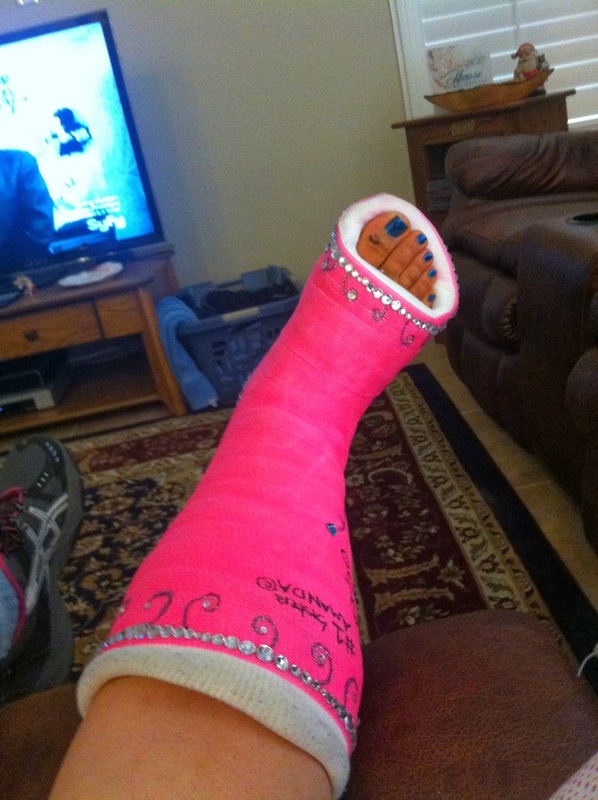 You're "knocked off" your feet, unable to drive or walk. You temporarily loose your independence as you learn to rely on others to help you from the basics of eating food, to getting in and out of the shower, to driving you to school or to meet a friend. 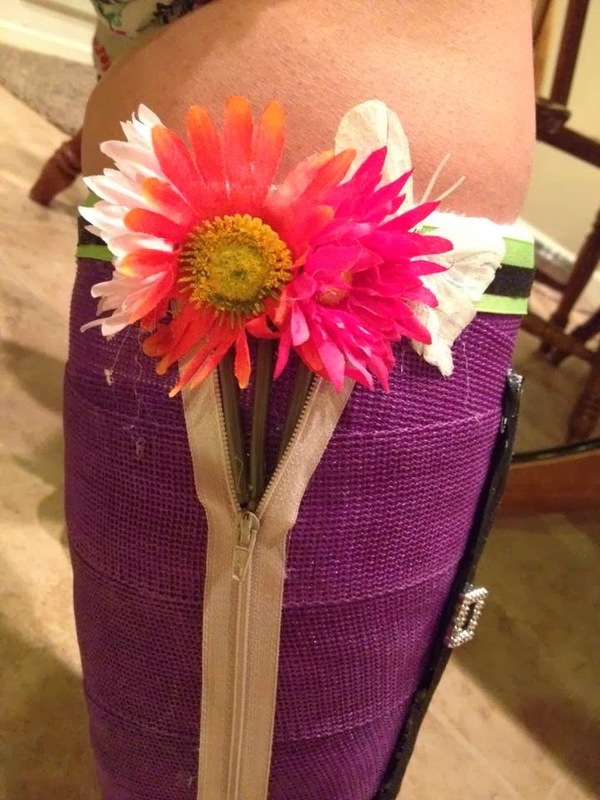 Again, I started with an ugly, average splint....But then my 3-year-old cousin, Rayna, saw the ugly splint and with wide excited eyes she exclaimed, "It's BEAUTIFUL!!" 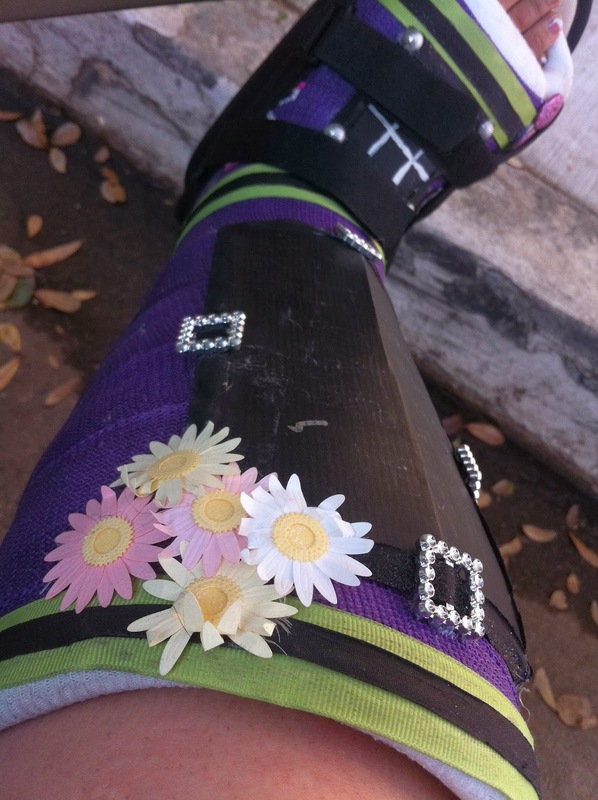 She loved the splint, so I wanted to impress her with the casts. 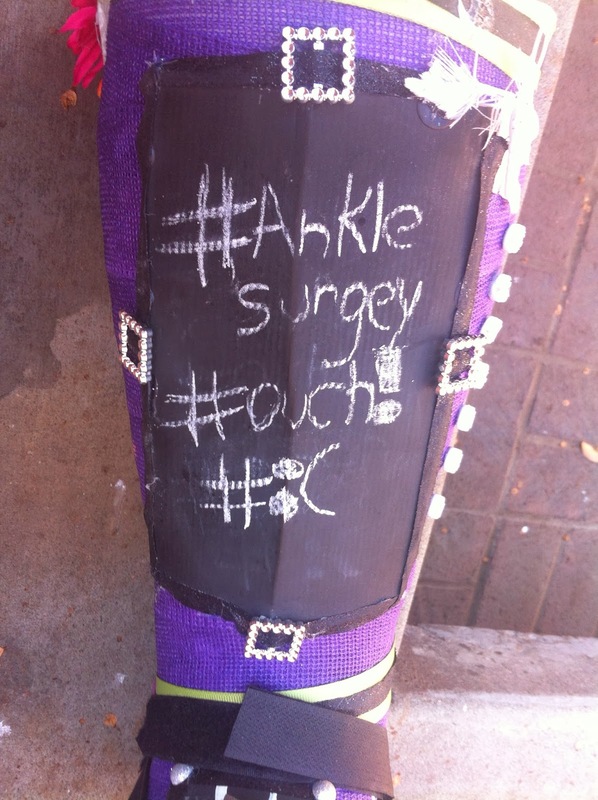 We didn't really decorate the splint - but two teenagers from church had fun adding a ton of hashtags and signatures to it for me. My brother-in-law, Will, also offered a helping hand! 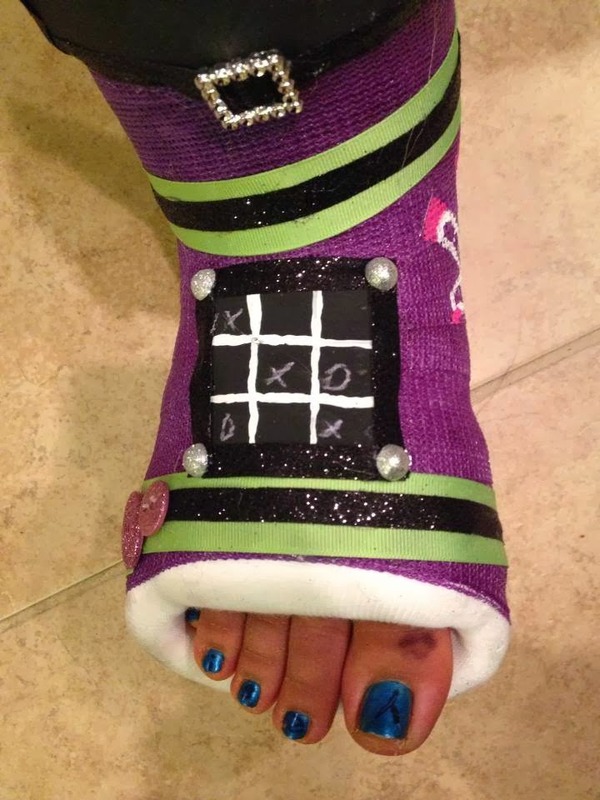 the putting on or taking off the cast protecter for showers. Ever kid likes shiny and sparkly things, right?? What can I say? I got bored in the DMV. 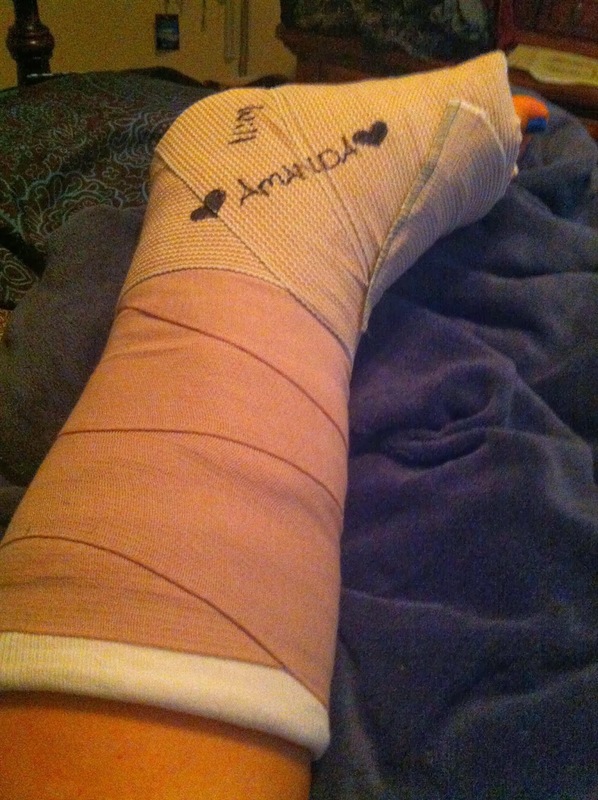 my cast while I was under anesthesia. A fun surprise! 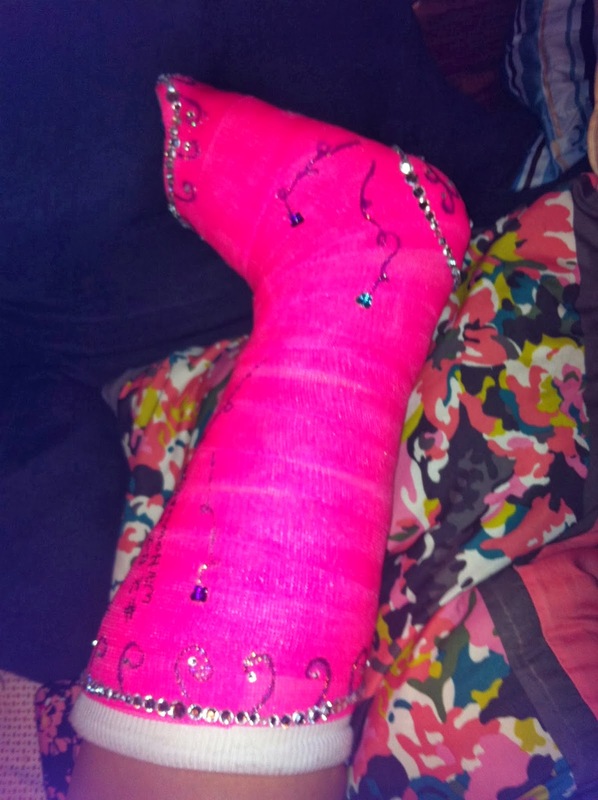 When I went back for a follow-up appointment with my podiatrist and to get a new cast, all the nurses came out to look at my cast in excitement. I didn't expect such a reaction from the workers at the hospital (or even the reaction of an occasional stranger at a store), but I am glad others enjoyed it just as much as I did!! 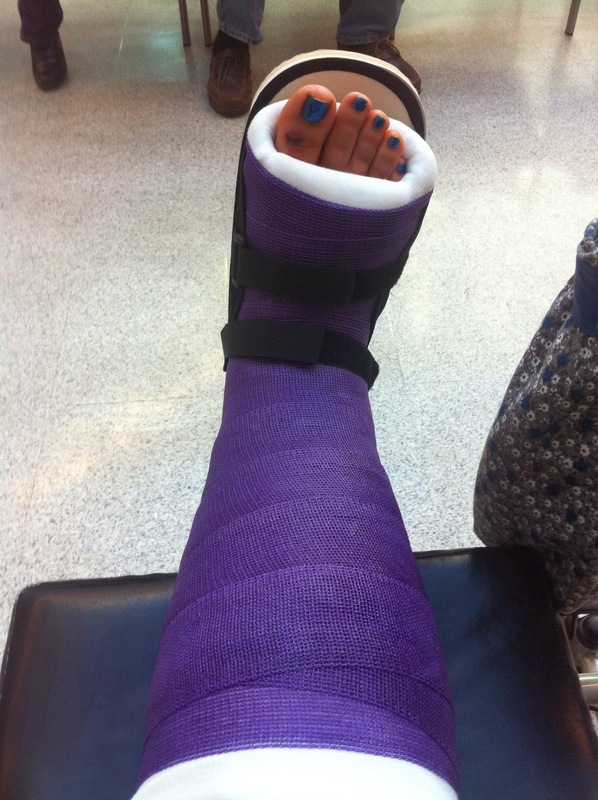 Next, Rayna requested for me to have a purple walking cast. 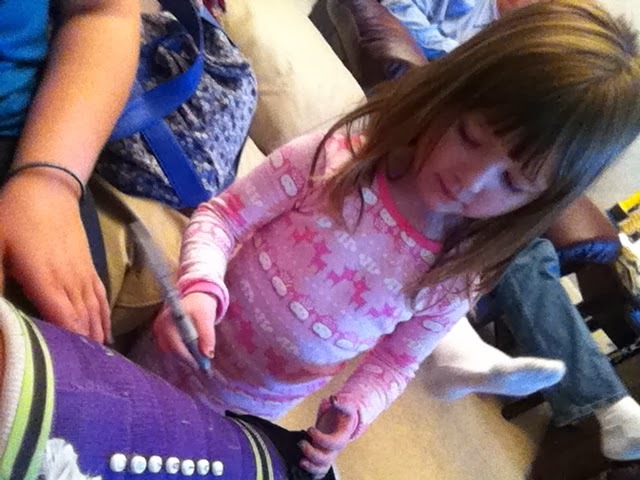 To quote her in her decision making process, "Pink and purple are my favorite colors!" unzip?? Do you get to take your cast off at night? Lucky you!" 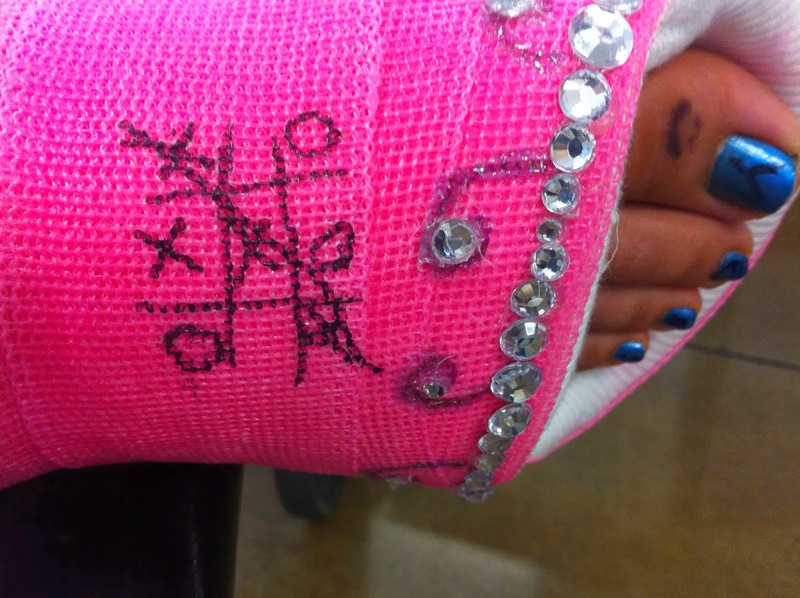 In memory of the tic-tac-toe board on my last cast. This is also a chalkboard. For my passion of ASL! This is the sign for, "I love you." 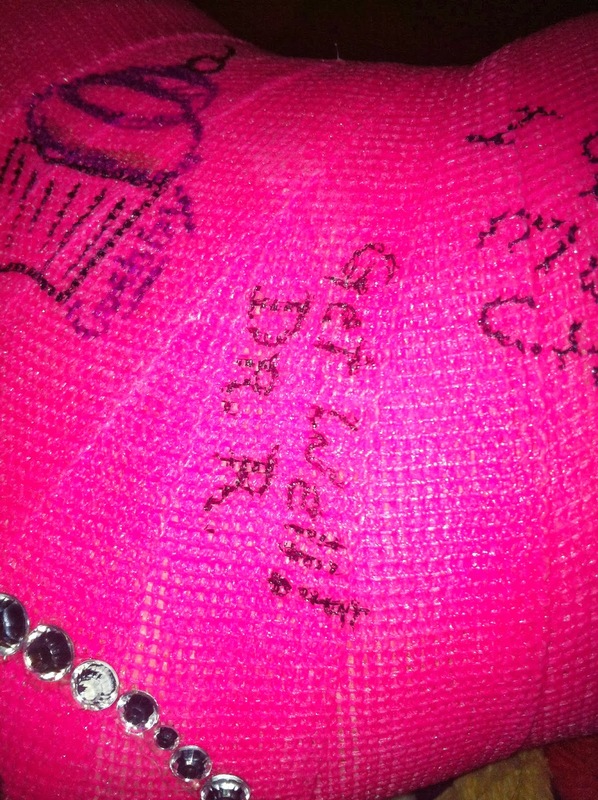 A random guy at my college asked me if he could sign my cast. Knowing I had plenty of space on the back, I told him "Sure? Why not?" did, I text messaged my sister and said, "COVER IT!!" And she did. During the first week of school many people asked me, "What happened?" 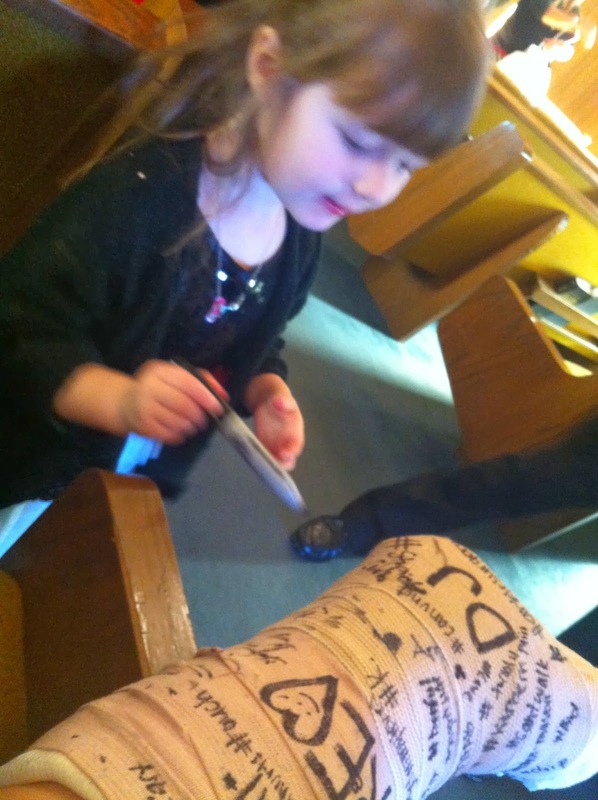 audience with the same question as to why I was wearing a cast. able to find it!! It was super helpful in keeping my toes warm. The chalkboard was a hit!! did do some touch-ups to fix the broken and worn-out parts. 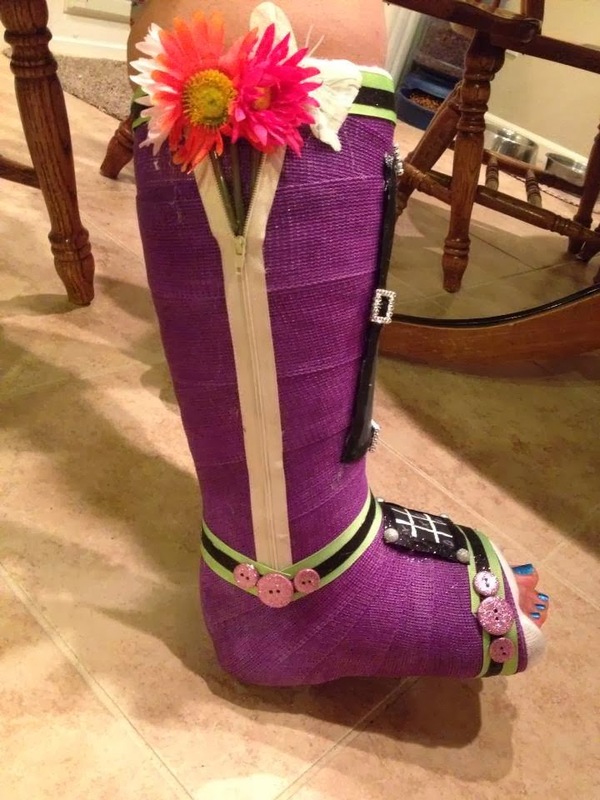 When it was time to get the purple cast off, the hospital staff was impressed once again. The nurse who was removing, however, it looked at it with a disgusted look and asked with a scrunched nose, "What is all of this??" I guess he was having a bad day…but it's alright that he didn't like it…the decorations were meant mostly for Rayna's enjoyment, and my own. Rayna and I decided that the elephant is named "Mr. Blueberry"
and the giraffe is "Mr. Grape". 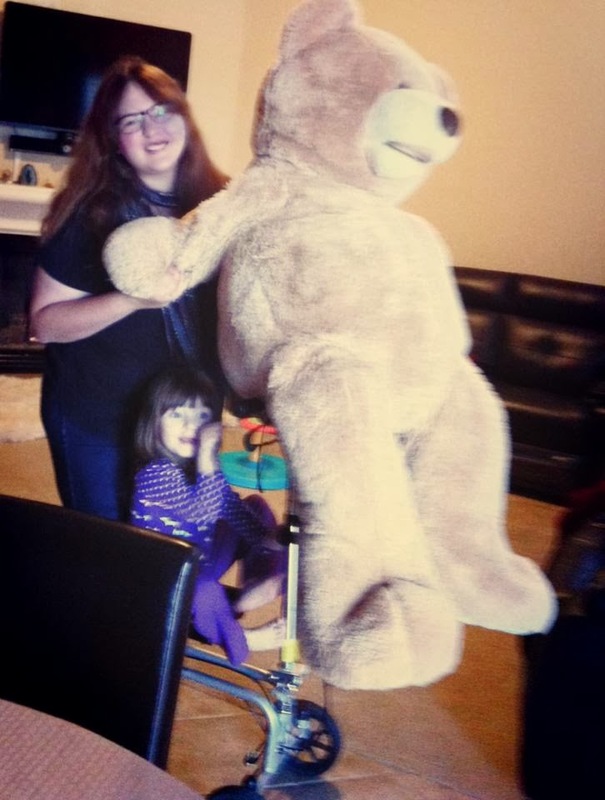 loves it even more when Mr. Bear joins in on the fun! 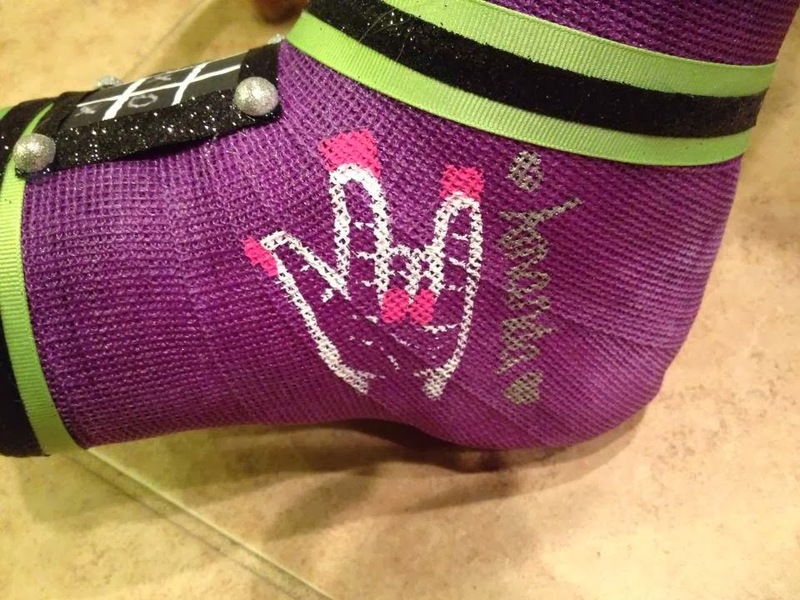 Have you ever had fun decorating a cast?? Share your ideas!! 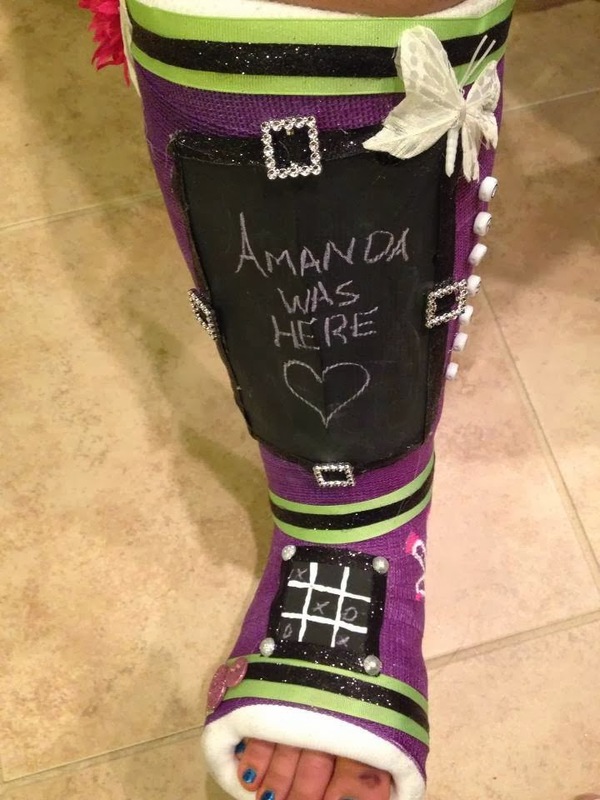 PS: Although I am thankful to be in matching shoes again and that I am starting to walk again, I have to admit that I am starting to miss my chalkboard on the cast!! Truthfully, I think I underestimated my surgery. I knew they'd be doing work, but I thought I'd be back at work and behind the wheel by now. I do have to admit though: Everyone was telling me that I was having a LOT of work done, and I would respond with, "Eh. Not too much. I'll be back to my normal sooner than later. "…and I insisted to my boss I'd be back sooner than later (it's a standing job, working with kids - and I could tell my boss was a little doubtful regardless of my insisting). It wasn't until recently, once I started back at school with 18 units, that I realized how much work had truly been done. Starting back, I was exhausted and worn and the reality hit. I guess I should have listened beforehand! But I will say, all the little moments of progress can go a LONG way and can be a major highlight any day and week!! You just have to learn to celebrate the progress, whether it be big or small, in the slow process of healing…while you allow yourself to take the time TO heal. omg, i just went through the same thing. I told my boss I was sure I'd be back after a month. 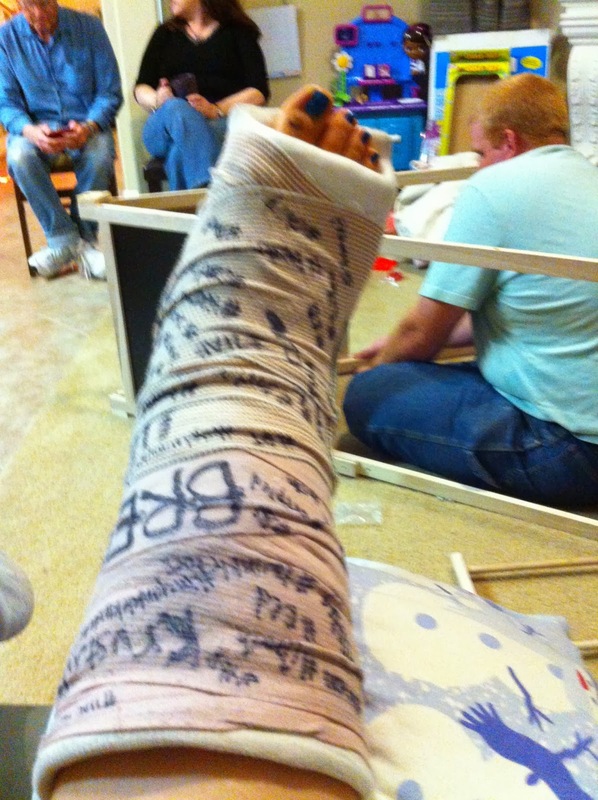 Here I sit, 4 months later, still in a cast, unable to drive to get back to work. My boss had the same reaction as yours. 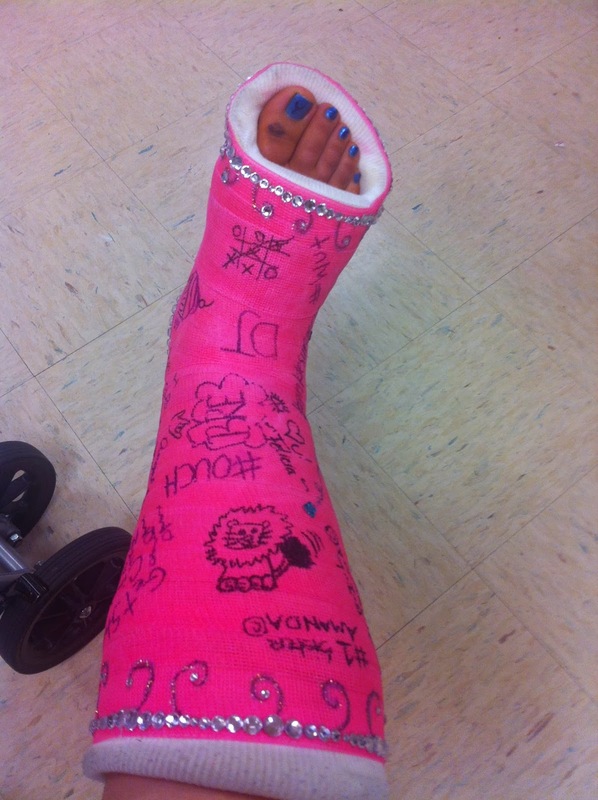 wow very nice plastercast pictures mmmmmmmm,and i like your cute nice toes xo . 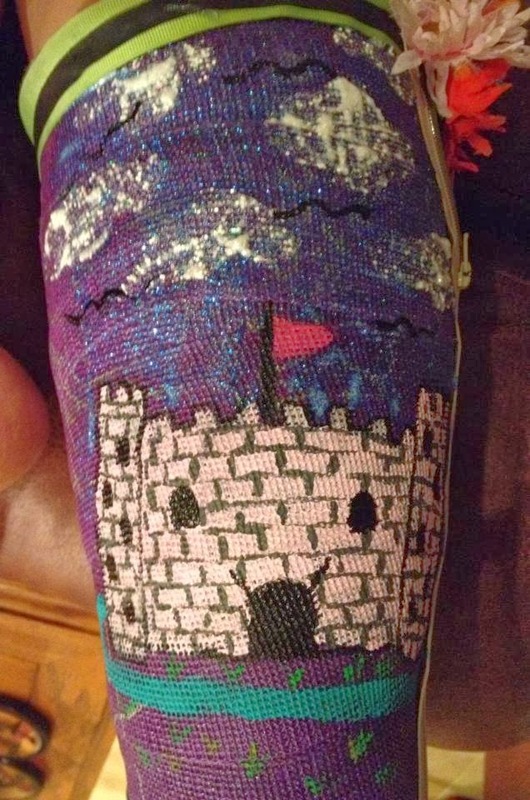 my cast is fully purple and i wanted to decorate it but i don't know any colors that you can see on it.do you know any colors? 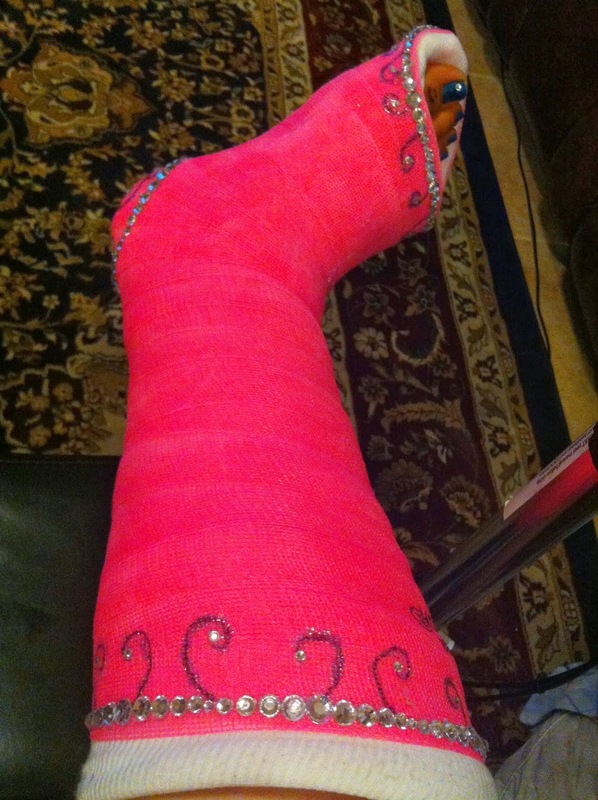 The pink cast and the purple cast were very nice decorated.Has your ankle tottaly healed?Hope you feel better and dont hav any pain. It seems that you broke your ankle very bad.Was this the first time you broke your ankle?Best wishes and take care. So how did you do the chalkboard? 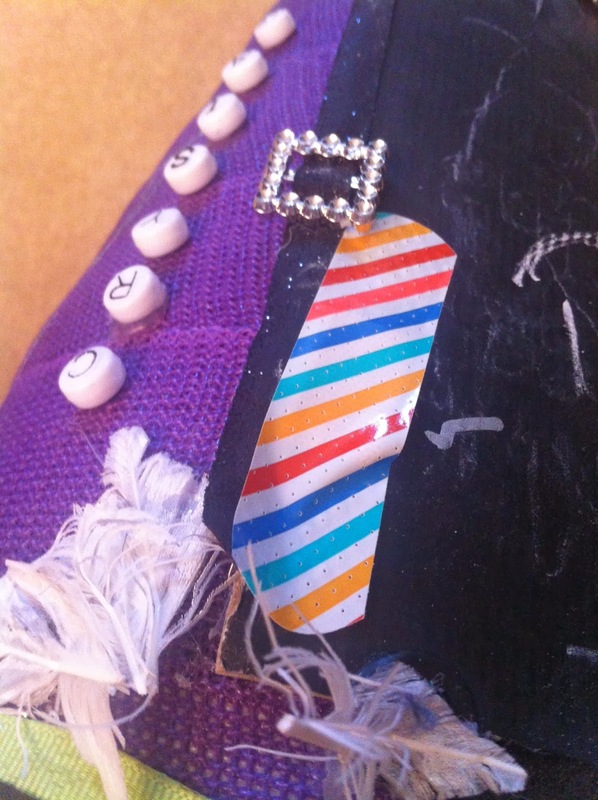 glue it on, or paint it on? 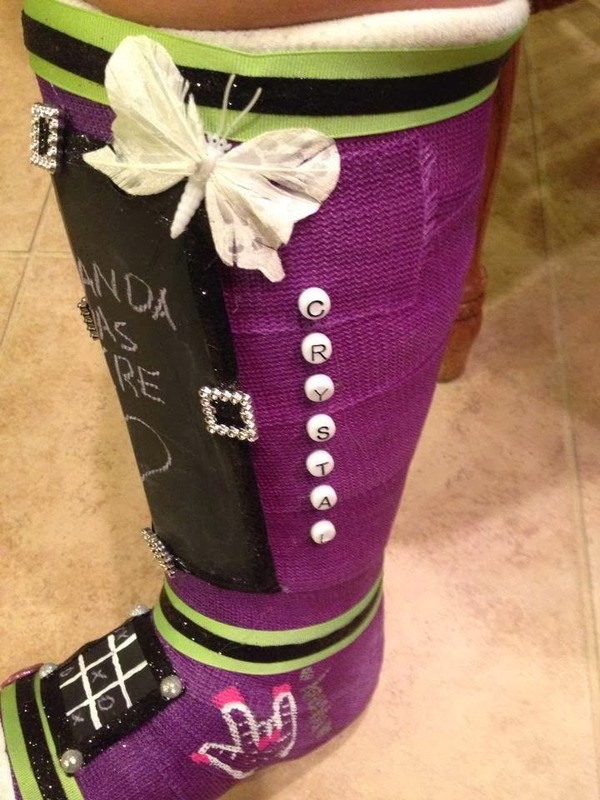 I am getting my cast next week, I'm a picky person so I'm just gonna leave it plain, cause I know if I decorate it I'll change my mind. Lol. I have(I forget the actual name) a compression fracture. Its very rare. 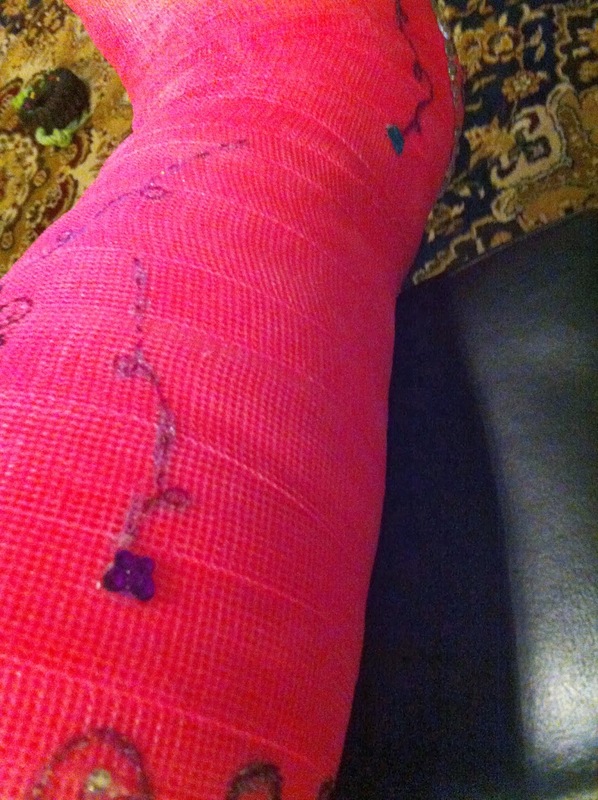 It took them a month to figure it out, and now I need a cast for six weeks, and possibly surgery. Do you have any tips?